57 University of Florida footballs were stolen from a man's truck in Daytona Beach. Dozens of University of Florida footballs were stolen from a man's truck as he drank in a Daytona Beach bar, police said. 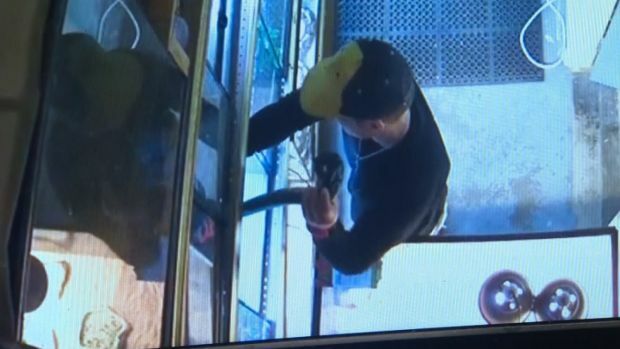 The burglary happened last week as truck owner Ian Earwin was having a couple of drinks at the Crook’s Den Bar, according to the Daytona Beach News Journal. When Earwin returned to his 2008 Dodge Ram, he discovered someone had stolen the 57 deflated UF footballs, which are designed to look like they are made out of alligator skin and commemorate the Gators' 2008 BCS National Championship. Earwin, who works for the State Department of Health, said the deflated footballs were a gift from a UF booster, who gave the footballs to him so he could give them away at Department of Health events. 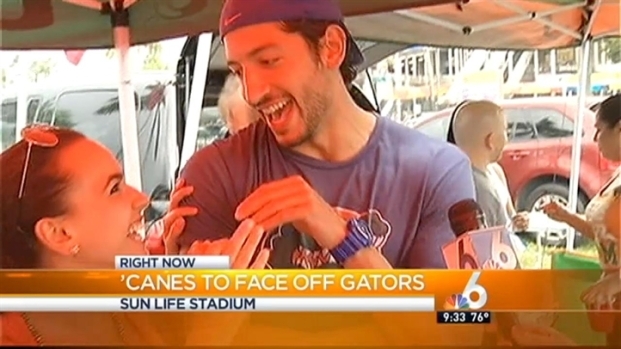 A couple with different loyalties speculate on who will win the Miami Hurricanes-Florida Gators game. NBC 6's Claudia DoCampo talks to the divided pair. The suspect didn’t bother stealing the laptop that was left inside, Earwin told police. Each football is valued at $60, officials said.